The Internet and digital privacy: How to keep your personal information secure? Privacy is something that we all value highly in everyday life. You draw the curtains before you retire to bed at night, you see the doctor in a small room behind a closed door, and you step outside when having a conversation over the phone. Maintaining your privacy matters no less on the internet. If anything, you should be more vigilant online. While you can easily see someone peeking through your window, it’s almost impossible to detect who’s prying on your sensitive information on the web. Here, we’re going to look at the dangers that lurk on the internet and show you how you can enjoy a safe browsing experience. First of all, let’s tackle one of the most common privacy-related questions: can Macs get viruses? In fact, Mac malware (the term used to cover all kinds of malicious software) is on the rise. A report by Malwarebytesshowed that malware grew by 270% in 2017. This is because more people are using Macs and therefore making macOS a more lucrative target for hackers who want to invade your privacy and access your sensitive data. Macs pose a much tougher challenge for hackers than PCs though, thanks to Apple’s XProtect built-in scanning tool and Gatekeeper, which blocks software that hasn’t been digitally approved by Apple from running on your system. Unfortunately, Apple’s programs don’t keep everything out. Malware typically finds its way onto your Mac via programs you download, links you click in emails or websites, as well as apps and plugins you install. These things try to seem legitimate, which makes them difficult to spot. Malware-infected emails, for example, are often sent from what appears to be a genuine source, like your bank or a government agency. Viruses are also often found bundled in with cracked software from torrent websites. How do I know if my Mac has Malware? In the case of adware and ransomware, malware makes it perfectly clear that your Mac been infected. Other strains, however, are more difficult to detect. How do I get rid of a malware virus? Malware can be removed from your Mac by checking in your Downloads for any unrecognized files or files ending in .dmg. However, this is no guarantee that the virus will be removed completely. A better way is to use a specialized app like CleanMyMac X, which performs a full scan of your system and pulls up all applications and their associated files. Unlike moving an app to the Trash as is the case when performing the task manually, CleanMyMac X removes every trace of a malicious download, so that’s there’s no chance of the app causing harm to your Mac in the future. You can get CleanMyMac X for free from Setapp, so it’s worth making that your first port of call if you suspect malware has infected your system. The internet is as dangerous as it's brilliant. And the truth is, every time you use it, you’re at risk of your information being stolen. Computer hacking is big business and, while attackers continue to make serious money from it, there’s little chance of it going away. Fortunately, there are steps you can take to ensure your privacy. Here are some simple internet safety tips. Popular browsers like Safari, Chrome, and Firefox are working hard to ensure your privacy and there are plugins like HTTPS Everywhere to enforce SSL Security wherever possible. That said, if you’re looking to really keep things on lockdown you should turn to Tor. While Tor offers no malware security, it’s built for advanced privacy and is popular with the anti-surveillance movement as a result. A VPN (Virtual Private Network) keeps your internet browsing anonymous so that no one can mine your data. It does this by providing an encrypted connection to a private network via the internet. The VPN that we recommend is Shimo. It combines beautiful and straightforward user interface with military-grade AES 256-bit encryption. The app lets you set up multiple connections at the same time and supports every major VPN protocol. 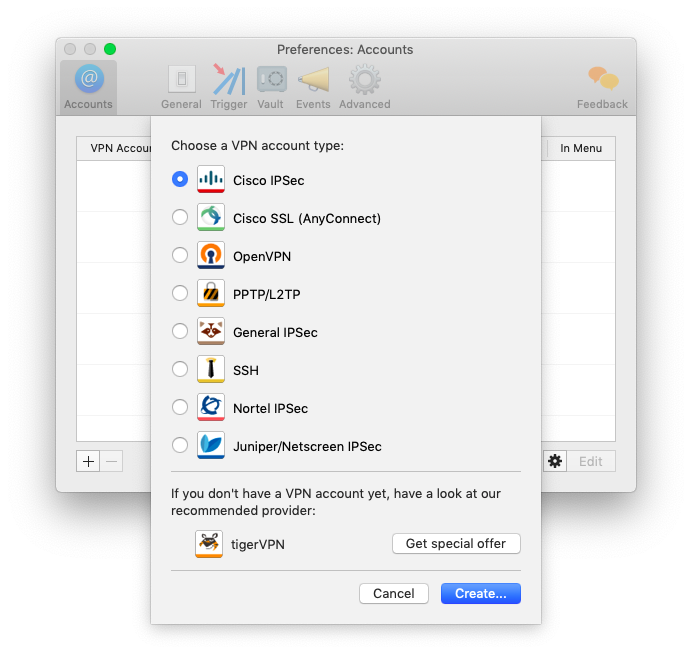 In short, it’s the only VPN your Mac will ever need. Email is a prime target for hackers and surveillance agencies. Try to avoid sending any sensitive data via email until you download an encrypted client like Canary Mail. This app is slick-looking and excellent for keeping your inbox organized. Crucially, it also comes with Pretty Good Privacy (PGP) built in. PGP uses cryptographic privacy and authentication for safe data exchange, giving you peace of mind that everything you send is for your eyes and those of the recipient only. The best way to ensure your passwords aren’t compromised is to make them impossible to guess and change them on a regular basis. And the easiest way to do that is with a password manager. Secrets is a simple and secure password manager that lets you generate strong, secure passwords that can be used across your favorite websites, as well as online banking and web tools. It then stores your passwords and syncs them with iCloud for easy access across your iOS devices. 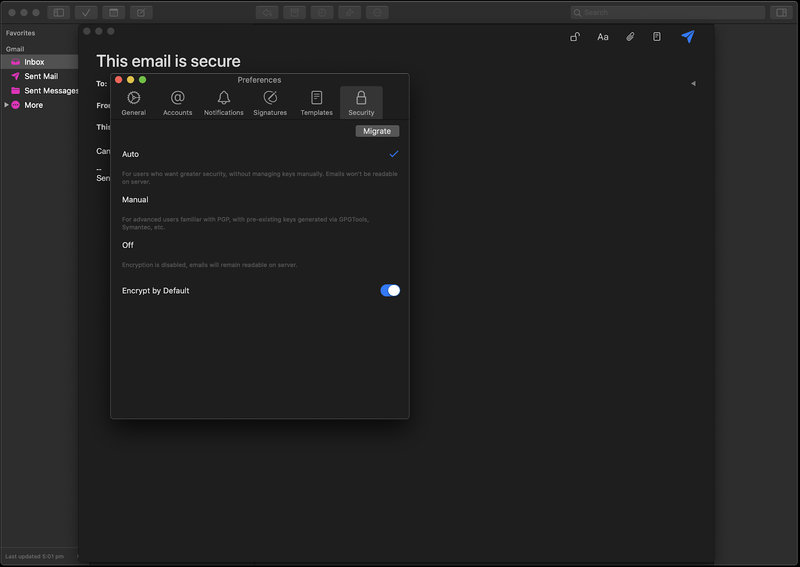 Like Canary Mail app, Secrets uses PGP for data encryption so you can use it in full confidence that your passwords will never fall into the wrong hands. For some digital balance, while we’re talking privacy we should probably mention work. How sure are you that your Mac is protected if you’re away from it? We’re not suggesting you should doubt the trustworthiness of your employees, but you shouldn’t leave anything to chance. No matter how much you like or trust someone, there are things that should remain private to you. If ever you’re away from your Mac you can quickly lock it down to protect your data. First of all, you’ll need to enable password protection. Go to System Preferences > Security & Privacy > General. With that setting enabled you can quickly lock your Mac by pressing Control+Shift+Power (or Eject). Now, anyone trying to access your system will need to enter the password. To log back in, press any key and enter your password. Staying safe on the internet is all about being vigilant. If something appears to be suspect, it probably is. Only use reputable websites and download apps and media from trusted sources. If you’re worried about who can see your information as you browse the web or use email, opt for a secure browser like Tor and download the apps mentioned above, all of which are available for a free trial through Setapp, a platform for the best macOS apps on the market. Your privacy should be your primary concern when using the internet and Setapp has everything you need to ensure this is the case. How to protect a Mac from virus?